Today sees the release of The Girl Who Took an Eye for an Eye, the fifth volume of Stieg Larsson’s popular Milliennium series, and the second penned by Swedish journalist and best-selling author, David Lagercrantz. I was lucky enough to be invited to ask Mr Lagercrantz a few questions, and I’m happy to share his responses with you. 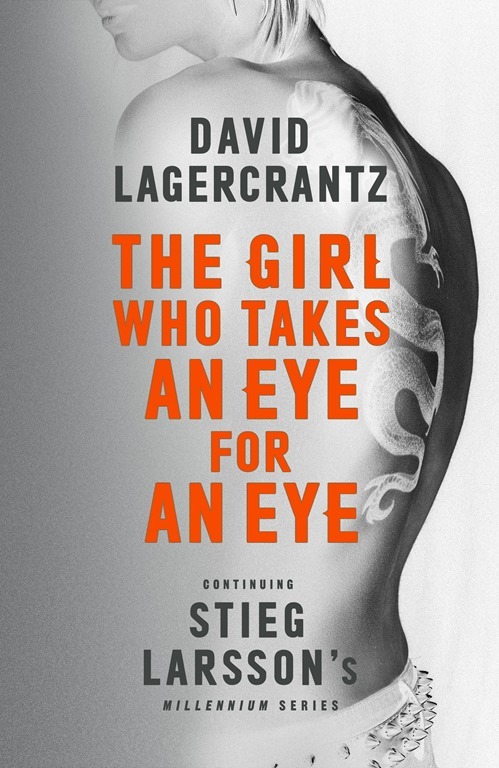 I, for one, am looking forward to reading the further adventures of Lisbeth Salander and Mikael Blomkvist, and will be reviewing The Girl Who Takes an Eye for an Eye (out now in hardback from MacLehose Press, priced £20) as soon as I’ve had a chance to read it. Stieg Larsson’s original Millennium trilogy is something of a global phenomenon, an almost-overnight success that practically came out of nowhere. You must have felt immense pressure taking over the series as you started writing THE GIRL IN THE SPIDER’S WEB. Could you tell us a bit about how the opportunity came about? I had changed agents and just had tremendous success with I Am Zlatan (Lagercrantz’s biography of Zlatan Ibrahimovich). When I was writing that book something interesting happened. I realised that I am at my best when I collide myself with someone who is opposite in character to me. We have actors in my family so maybe it’s in me to take on other characters. I was smuggled into the basement of Norstedts publishers for a top secret meeting and they asked me ‘could you or would you like to write Millennium IV.’ I didn’t hesitate! I immediately felt the fever in my body, and the pressure. The pressure makes me a good writer. How did it differ from writing one of your “own” novels in terms of process and expectations of the existing fan-base? It didn’t really differ because all books have rules. Even if you create a character yourself you still have to be truthful to them. You always have to do research but on this project I had to do two different types – fictional by reading the original books and factual for the plot. After a while the characters started to feel like mine. One of my favourite books in recent years was FALL OF MAN IN WILMSLOW, which you structured around the investigation into the death of one of my own personal heroes, Alan Turing. 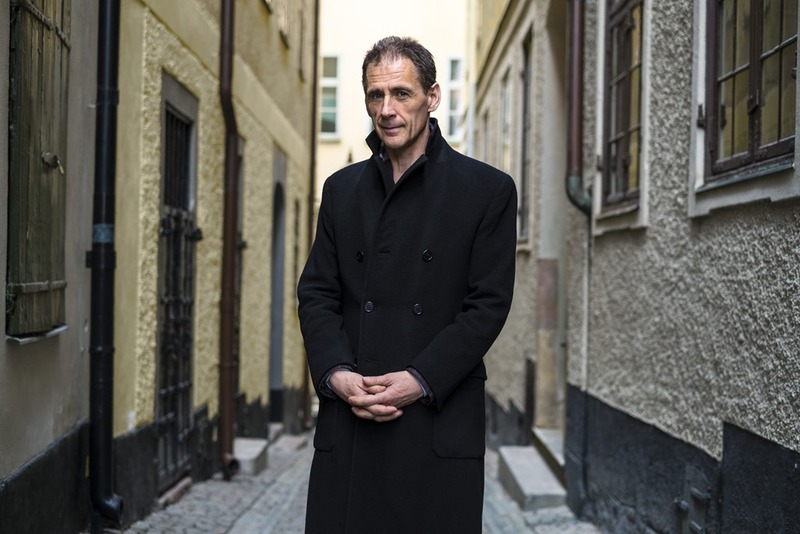 What are your current writing plans outside of the Millennium world – can we expect more Lagercrantz crime fiction in the near future or, for that matter, a return of Leonard Corell? Maybe not the return of Leonard Corell but I will certainly go back to writing after these three. I said I’d write three Millennium books and then I will stand on my own two feet. I like writing when you combine fiction and non-fiction for example when you read a good thriller and you learn something. For example I like what Robert Harris does.